Nissan Motor Co.'s board removed Carlos Ghosn as chairman, the NHK reported, as the directors moved to contain the damage from the iconic executive's shock arrest. The national broadcaster didn't provide further details. A Nissan spokesman declined to comment. The board was meeting Thursday to vote on Ghosn's removal. Ghosn, who has been detained by Japanese authorities since Monday, will officially remain a director, since a shareholder vote is needed to remove him from the board completely. The removal follows probes by Nissan and Japanese authorities into alleged financial misconduct by long-time leader Ghosn, with Chief Executive Officer Hiroto Saikawa emerging as a driving force behind the investigation. Prior to his surprise arrest in Tokyo on Monday, Ghosn had been preparing to push for a full merger of Nissan with French partner Renault SA, which he also heads as CEO and chairman. That combination plan has faced resistance from Saikawa, who Ghosn in the past presented as his protege. Without Ghosn at the head of Nissan's board, a merger looks very unlikely. The charismatic French-Brazilian executive was architect and linchpin of the two-decade-old alliance, created as an attempt to add heft against global rivals. Ghosn's arrest has now laid bare resentments that have built as the Japanese and French sides alternated successes and struggles over the years. Lately, the structure has become increasingly controversial in Japan due to Nissan's strong financial performance. Although it's generally outgrown Renault in sales and profits, the Japanese company has far less influence within the alliance. It owns a 15 percent non-voting stake in Renault, which in turn owns 43 percent of Nissan, with voting rights. Mitsubishi Motors Corp. was added to the alliance in 2016. 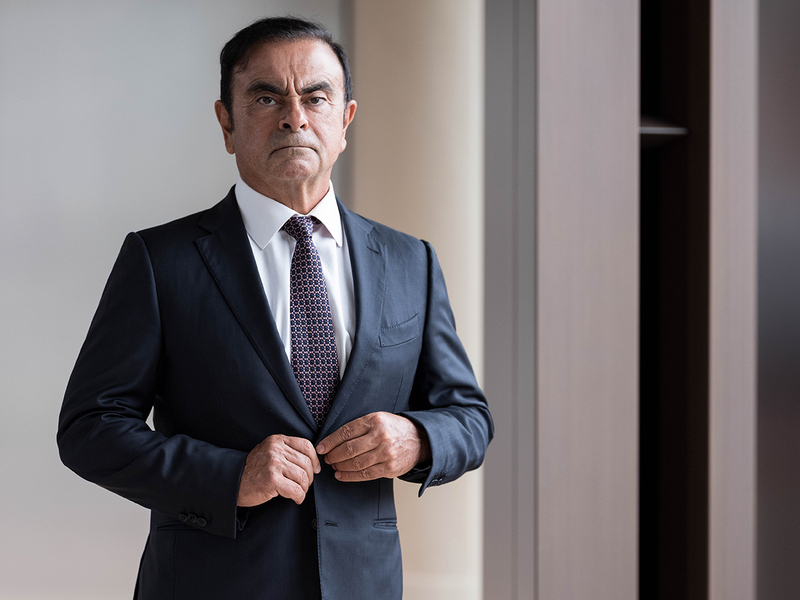 Nissan has long been unhappy about what it considers an outsize French role, and Saikawa made reference to that perceived imbalance at the late-night press conference he called on Monday to respond to Ghosn's arrest. The French side, conversely, has been keen to maintain - if not intensify - the current relationship. French Finance Minister Bruno Le Maire said Wednesday that the partnership is set to continue and will be deepened. As Renault's largest shareholder, the French state is "totally attached to the alliance of Renault and Nissan," he said. Renault's board earlier this week put in place new interim leadership but declined to fire Ghosn, saying he should be presumed innocent until more details become available. Interim Renault CEO Thierry Bollore said "the alliance is vitally important for Renault and we will ensure total continuity with our partners."